The Sam Higginbottom University of Agriculture, Technology and Sciences a premier and foremost agricultural institute was established in 1910 in the form of a 'school of agriculture' by the American Presbyterian missionaries led by Dr. Sam Higginbottom with a mission to 'Serve the Land' and 'Feed the Hungry' by imparting training and adoption of scientific technology in production of crops and livestock together through participatory approach under the Scientist, Farmer Interaction Forum. It was the first of its kind in the country and South East Asia. Presently, the Institute is actively involved in teaching, research and extension to impart quality teaching and research-extension modules for the multi-dimensional development of the students and the farming community in and around the Allahabad region. Eligibilty: 10+2 with PCM or PCB or PCMB or Inter Ag. 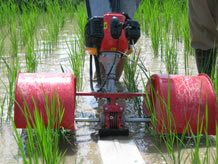 Eligibilty: 10+2 with PCM or PCB or PCMB or Agri. Eligibilty: B.Sc Agriculture(4Yr) / B.Sc. Geology/ B.Sc. Horti. / B.Sc. Forestry/ B.Sc. PCM/ B.Tech. Ag. Engg.